Rediscover Peterhead exhibited at the Annual Cross Party Group on Towns Parliamentary reception on Tuesday, March 26. The event was hosted by the Cabinet Secretary for Communities and Local Government, Aileen Campbell MSP. The theme of this year’s reception was a celebration of Scotland’s small and rural towns. Rediscover Peterhead hosted an exhibition at the event to showcase the very best the town has to offer to guests and members of the Scottish Parliament. The evening was organised by Scotland’s Towns Partnershop, the national body for Scotland’s towns and all those who work to support the country’s towns and city districts. At the reception, the work of local groups in taking action to regenerate local towns was praised by the Cabinet Secretary and Chief Executive of Scotland’s Towns Partnership, Phil Prentice. 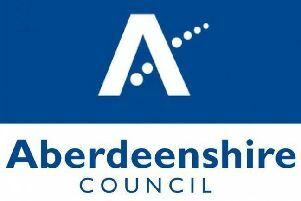 John Pascoe of Rediscover Peterhead said: “The event was a great way to showcase Peterhead and the work we’re doing locally to create more opportunites for business and local people. “It’s important that we continue to talk to decision-makers about the types of changes we need to see to ensure small towns like ours continue to thrive, but we will continue to do what we can to help. Communities Secretary, Aileen Campbell, added: “We continue to invest in community empowerment through a wide range of funds.